We got out little spot as a piglet. 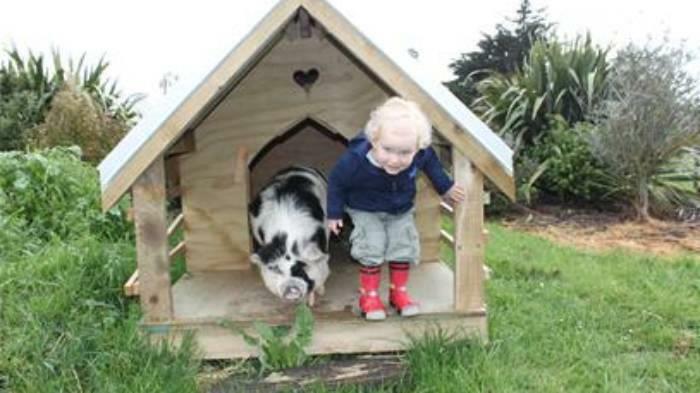 In NZ Kune Kune pigs are often in the wild, and hunters hunt for them. 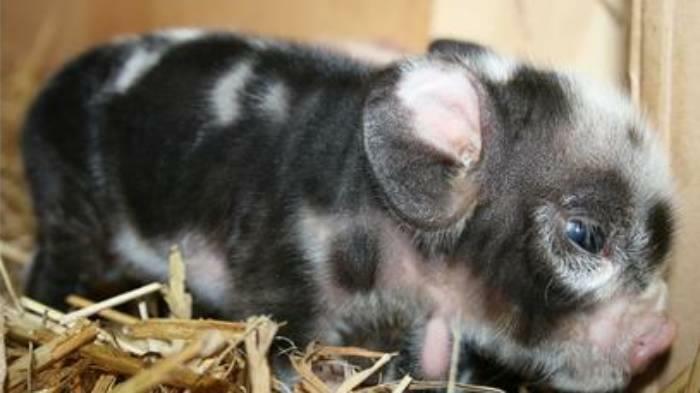 We had a hunter friend who had killed a couple of them in the bush that night, and turned up at 11pm and said he found a piglet, and didn't want to just leave it there and did we want it. Of course being kind hearted people we said yes. He was so small, and spotty, and my little brother named him 'spot' after the dog, those books were popular at the time. They grow to about half the size of a normal sized meat pig, or the big pink kind most people have here. Spot had a great personality, very similar to a dog, he could fetch, roll over, sit, ate dog food (and most other kinds of food) and slept for a while in a dog kennel. He was allowed inside up until he was a bout a year old and got a bit big. 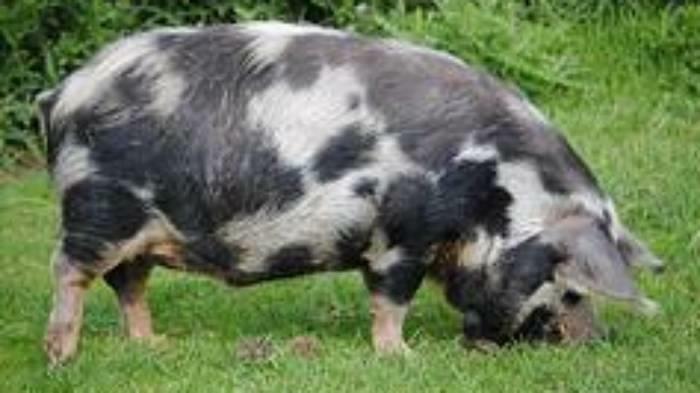 A lot of people keep this breed of pig as an inside pet though, i've seen it plenty of time in NZ, because they are so friendly and quite small (for a pig). They have good personalities and can be trained. I doubt they'd be that great to sell as meat, because they are small, and their legs are very stubby, I don't think the quantity or quality would be that great, also they get fat quite easily, especially if you spoil them, they'll just keep eating and eating until the food runs out, but then again, bear in mind, it is a pig, gotta expect a bit of pigginess. * Not usually expensive to buy, you can often get them for free if you want one, from the rescue farms, hunters, or friends. * They think they are dogs, and are very social, and will be lonely if you just have one and don't spend enough time with it, so if you get two, or it can play with a dog, that would be better. * They are considered a bush pest in a way, and hunted, so people probably will think you're a bit weird if you decide to keep one as a pet or breed them. * It's not going to make you any money, there's a very small market for them.